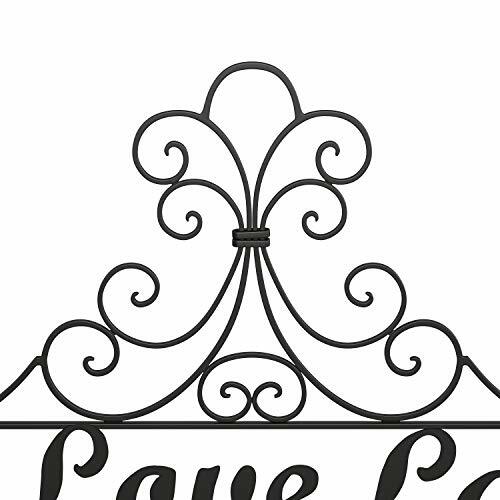 The Metal Cutout “Live Laugh Love” Sign by Lavish Home is a beautiful addition to any home décor! With an attractive rustic matte black finish, this inspiring word art will complement any style of interior design, from modern rustic to vintage farmhouse chic. Perfect for home or office, this versatile and uplifting piece is a great touch for your living room, kitchen, bedroom, bath, or front entryway. Always start your day with a positive note with these meaningful words featuring flowing cursive silhouette and graceful scroll work. Its horizontal orientation makes it a fitting display over headboards, doors or windows. This lovely wall mount 3D décor piece is a wonderful gift for birthdays, engagements, weddings, housewarmings, holidays, or any occasion! 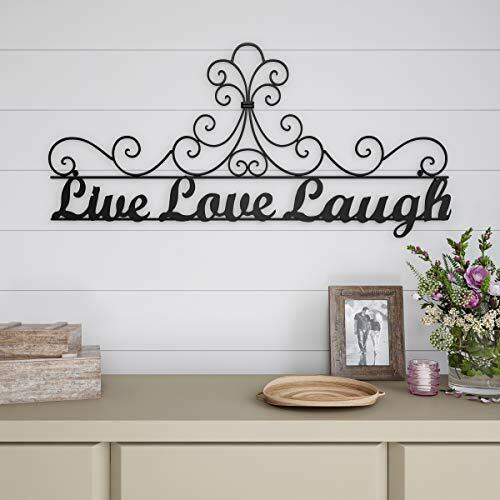 INSPIRATIONAL WORDS- This 3D metal cutout with uplifting wording adds a perfect stylish touch for your office, living room, kitchen, bedroom, bath, or entryway! 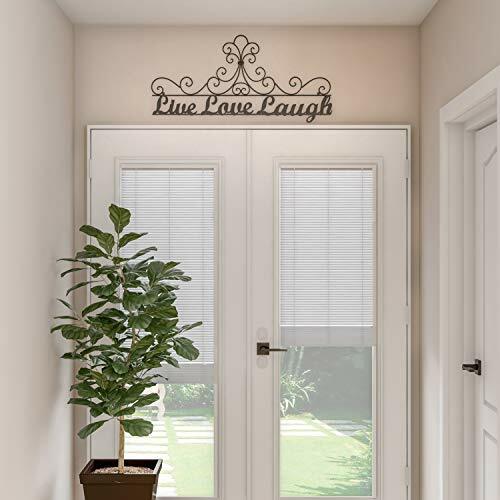 Its horizontal orientation makes it a great display over headboards, doors or windows. 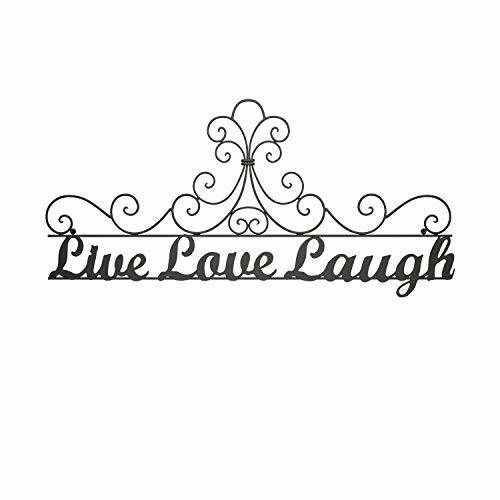 BEAUTIFULLY CRAFTED- This "Live Laugh Love" sign is made from laser-cut iron, and individually hand painted with a rustic matte black finish. It's a gorgeous accent piece that will beautifully complement your décor for many years to come. 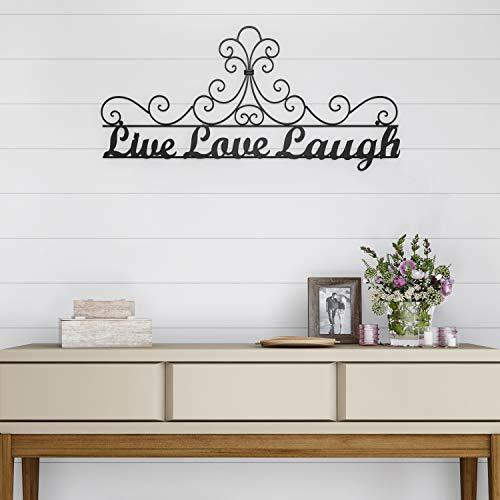 EASY INSTALLATION- Conveniently wall mountable with holes for the included anchoring screws incorporated discreetly into the design, this word art is easy to install and will complement any style of design, from modern rustic to vintage farmhouse chic. 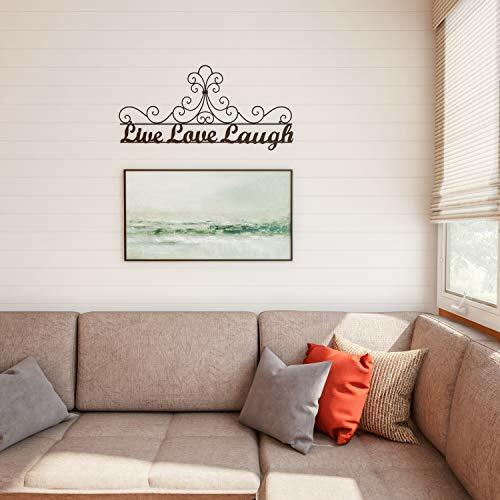 THE PERFECT GIFT- This elegant wall mount word cutout is a fantastic gift for birthdays, engagements, weddings, housewarmings, holidays, or any occasion! Your interior design loving friends and family will adore this charming décor piece. 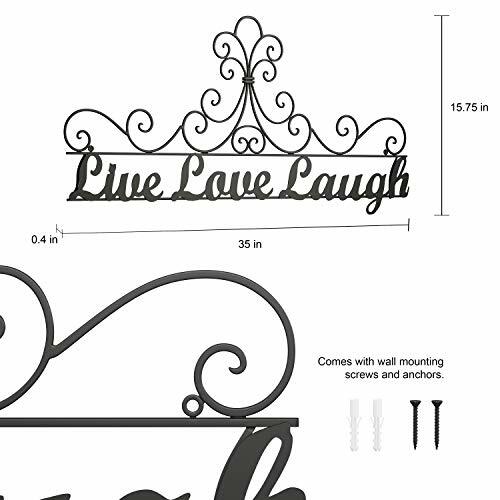 PRODUCT DETAILS- Materials: Laser cut iron metal with rustic matte black finish. Dimensions: (L)35"x (W)0.4"x (H)15.75". Mounting hardware included.